Home Cycling Boonen: "So much attention for Evenepoel is not healthy"
Boonen: "So much attention for Evenepoel is not healthy"
The Belgian excist did not hesitate to say that the young 19-year-old runner is the best he has seen at that age, but asked for patience: "You have to give him time." Tom Boonen is one of the voices authorized to give an opinion on the current situation of cycling. The Belgian exorcler, world champion and four times winner of the Paris Roubaix among many other triumphs, has analyzed the explosion of his compatriot Remco Evenepoel. The young runner of the Deceunink Quicl-Step, at 19, seems ready to shoot down all the record of precocity in cycling and has already rubbed elbows with the great cyclists of the international peloton in its first career as a professional in the Vuelta a San Juan. 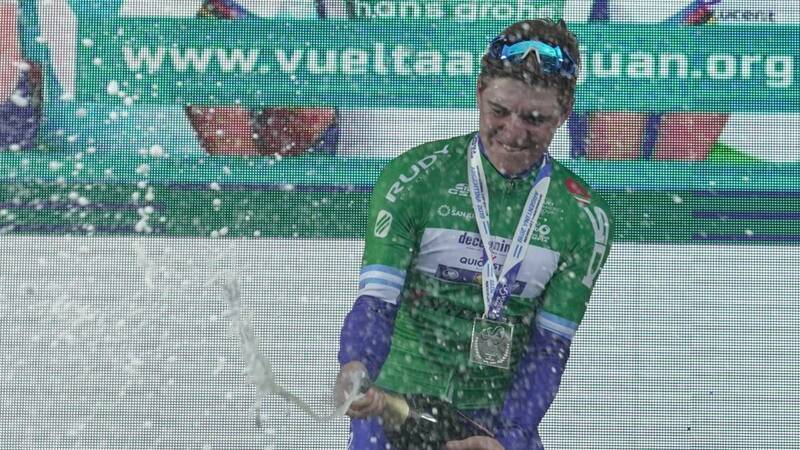 In the Argentine test, Evenepoel managed to be the focus of attention thanks to a fantastic performance : 9º place in the general classification and best young of the race. A media attention that for Tom Boonen is not at all beneficial in these first steps in the highest level of cycling. "Remco is a classy runner, but th attention is not healthy", explained Boonen in the Belgian medium Humo. A contrary to the opinions that link Evenepoel with a profile of a classico runner, Boonen did not hesitate to say that he sees his compatriot with qualities to shine in the great laps in stages: "Remco is a very different runner from me, a runner with great laps" . In addition, the Belgian exciter sees triumphing to another compatriot like Jasper Philipsen (recent signing of the UAE at 20 years) in the spring classics: "For the Classics, I expect more from Philipsen. Someone who has won at the highest level of competition in Australia in the year of his debut is very strong, that's what I see now that has been lost on the expectations around Remco, "explained Boonen on the th stage triumph Philipsen achieved in the past Tour Down Under.